We are offering the rare opportunity to join the work crew at Grelo farms for hands-on learning under the tulelage of my father. As our Working Student you'll have your share of slugging, mucking and sweeping (well, rather a lot of that) rewarded with daily handling of the horses and shadowing my father to absorb as much knowledge and experience as you can -- and yes, a lot of riding. The selected candidate would live with our family on the farm, must be at least 18 years of age and in good physical condition. 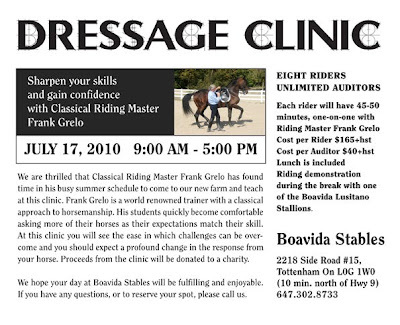 While experience with horses is obviously necessary, a passion for classical equitation is a plus. Length of stay is negotiable, although we prefer a 12 month commitment. Previous working students have been reluctant to leave us -- and some have even returned for a second term. We are looking for someone who would ideally start at the end of August/beginning of September. 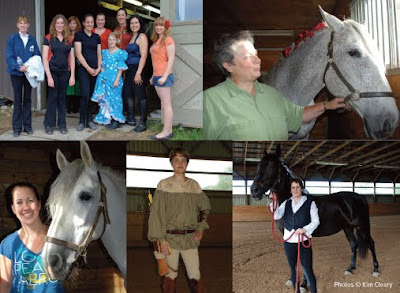 Our Spring Riding Gala at Grelo Farms was a great success!! Some things just worked better than the old place, particularly the ability to enter and exit while mounted, which made for a much more fluid presentation. Everyone sparkled that night, and I think that even the horses knew it was a special occasion. There was lots of cheering from the audience too, and I can’t wait to see the video to see the show from their perspective. I’d like to thank the Cedar Mills Classical Riding Club members who worked tirelessly to put this together as well as those who lent their expertise, donated door prizes, and to the audience themselves. 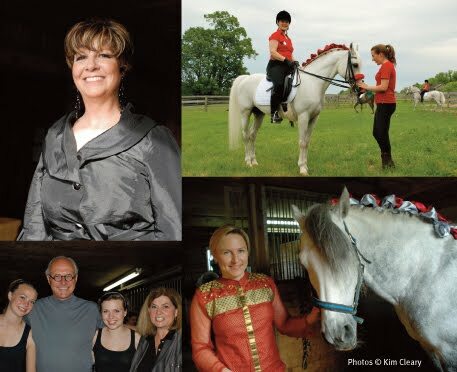 My parents were thrilled with the night and we look forward to many more occasions at the farm to share our joy of classical equitation with you! PS. DVD's of the show will be available shortly - stay posted!